Delicious cappuccino-flavored drink with a touch of bitter cocoa, for a tasty break. 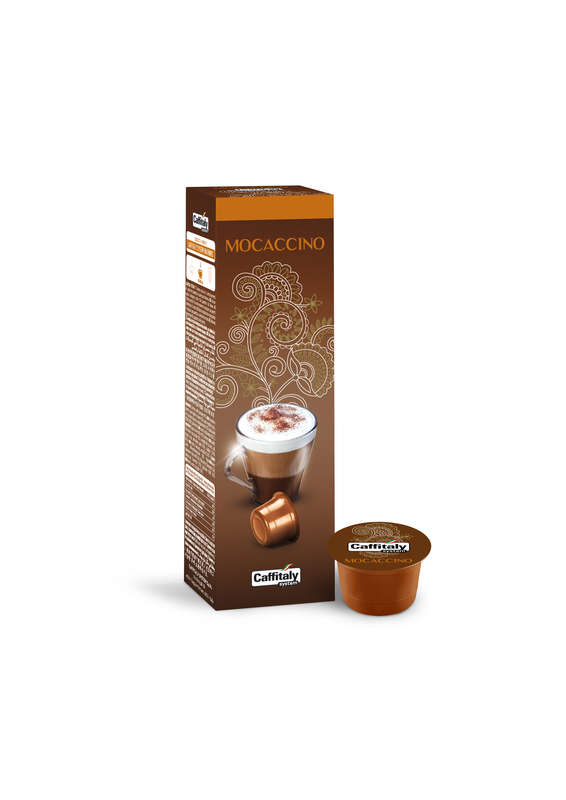 Mocaccino combines the aroma of our coffee with the deliciousness of cocoa powder and a soft cream of milk. With a simple gesture, you can enjoy an exquisite hot drink flavored with cappuccino and chocolate, for an intense pleasure to be enjoyed at any time of the day. 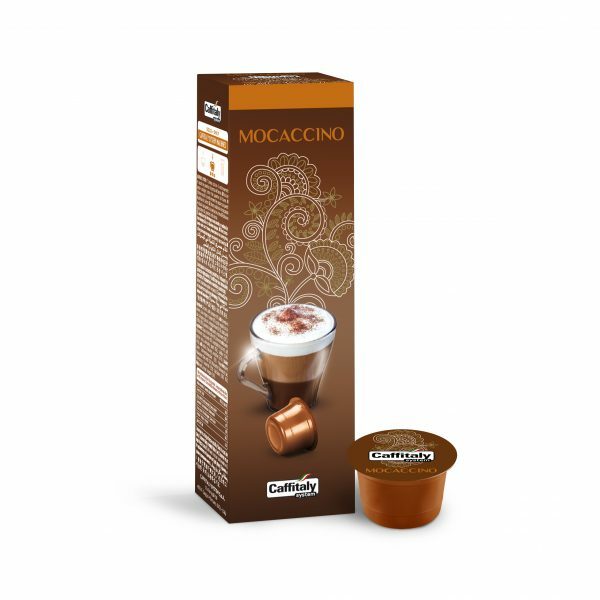 Each pack consists of 10 single-serve capsules of instant cocoa-based cappuccino drink.